Most regular humidifiers use a wet wick to evaporate water, if you have studied biology at one time in your life, you would understand that wet surfaces breed bacteria, in fact, bacteria starts growing in a very short time after the surface becomes wet. After turning your humidifier on, the accumulated bacteria would then be dispensed into the air, which as you know, isn’t healthy. By this logic, the risks of regular humidifiers outweigh the benefits. If you currently own a wet wick humidifier, my little advice to you would be to get a Dyson Humidifier and then throw your old humidifier in your trash can (not the neighbor’s, they may use it); seriously, do not give it to charity because it won’t do them any good. 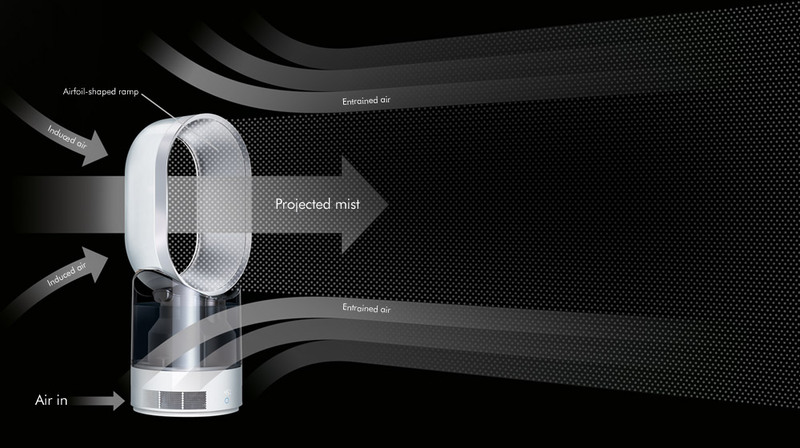 The Dyson humidifier kills 99.9% of bacteria in the water to be used for humidification, it uses Ultraviolet Cleanse technology to expose every single drop of water to ultraviolet light. With this device, you can keep the air space in your living room bacteria-free as it projects clean hydrated air around the room. The humidifier comes in different sizes, you can get one from your nearest Dyson retailer or visit the Dyson website (linked above) to find the nearest Dyson outlet in your area.